Hi Barbara, love this cover. This is a book every teenage girl should read. Beautiful cover! I look forward to exploring your work. Isn't Kaytalin's cover amazing? 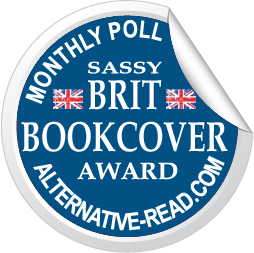 Thank you guys for the votes!! This is a great cover! It definitely catches your attention and imagination. Awesome cover. Mysterious and captivating! My daughter's comment-"It makes you wonder what's so great about Jennifer Taylor." Tantalising cover--I'd certainly want to look like that but would I want to be like that? Tricky question. Got to read this book. Cover certainly entices me. Good cover. It makes you want to read. What a fascinating cover. It draws the reader in, makes you want to learn more about this girl. Beautiful cover and sounds like a great read too! Good cover, Barbara. Good luck! Intriguing cover, Barbara. Your story sounds like one that needs to be told. This cover is the epitome or a really good writer working with a talented artist. We are rewarded by their efforts. 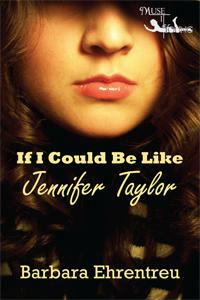 The cover for #7, If I Could Be Like Jennifer Taylor, is great and I want it to win!! 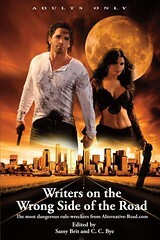 Love the cover of #7...If I Could Be Like Jennifer Taylor. A beautiful face with a title that makes your mind wonder. Great cover, Barbara! Would buy this for my granddaughter.